A giving principle that teaches us to give the first 10% of our income to the local church—is one of the most tangible ways we can worship God. It declares that He is first in our lives and opens our hearts to His plans. 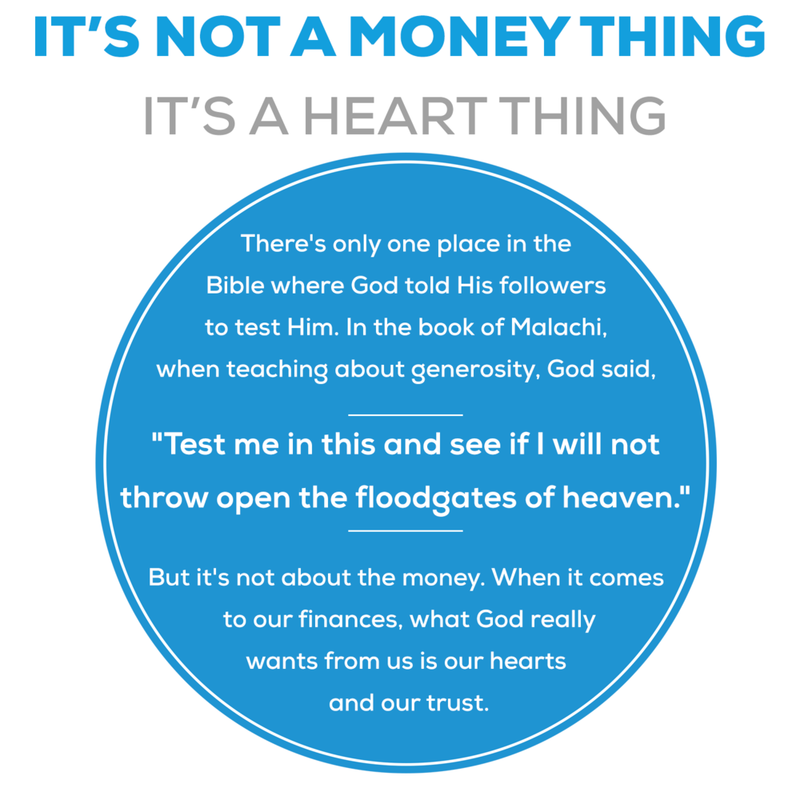 If you're not tithing already, a great way to start is with the 90-Day Challenge. Tithe for three months and see what happens. Our prayer for you is that you will see God work in your life in a way that causes your heart to overflow with God's love and grace, that it transforms your life, and that it deepens your faith and trust in Him. But God's blessing might not come in a blank check in your mailbox. Keep your eyes and hearts open so that you don't miss seeing God's provision and faithfulness in your life. After you sign up to take the challenge, we'll send you resources and encouragement. how is God blessing you after taking this next step in your faith? Learn how to get rid of debt, manage your money, and spend and save wisely through an upcoming Financial Peace University Class. This nine-week course will give you practical steps to get from where you are to where you've dreamed you could be.